Tristan Corbière is a poet who tests language to the limits, dislocating normal syntax, revelling in self-contradictory affirmations, and piling up puns. Born in Brittany in 1845, he died at only 29, leaving to future readers a scattered assortment of texts. This collection brings together several less well-known pieces, some early versions of published poems, and others which were handwritten into his own copy of his only published collection, Les Amours jaunes. Presented as a bilingual edition, this volume offers the first English translations of many of these writings, all of which testify to Corbière’s sly humour, linguistic glee, formal innovation and mordant self-irony. Playful and comic, Corbière’s work is also experimental, subversive and moving. The texts are translated by Christopher Pilling, an award-winning poet, playwright and translator. He is a founder of the Cumbrian Poets workshops, which he has hosted for 35 years, a convenor of Skiddaw u3a, and the organiser of translation days and readings in Keswick. He has translated the work of a number of poets, mainly from French but also from Latin. A beneficiary of the Royal Literary Fund, Christopher is also a member of Parkinson’s UK. 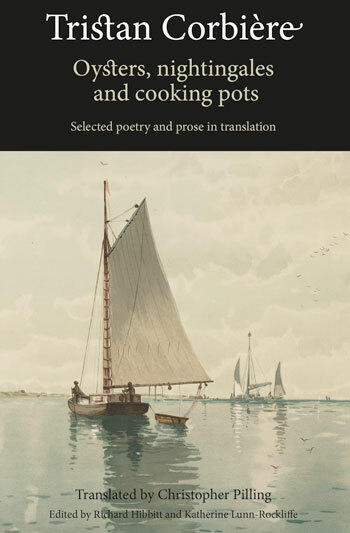 Oysters, nightingales and cooking pots provides a fitting sequel to Christopher Pilling’s translation of Tristan Corbière’s Les Amours jaunes, published as These Jaundiced Loves in 1995. The volume is edited by Richard Hibbitt and Katherine Lunn-Rockliffe. Please note that this volume is available in multiple formats for your convenience. If you wish to view the French and English texts side by side to compare the original and translation, please download the free PDF file of the volume and select two-page view or purchase a printed copy.